To protect, nurture and fondle once own procreation is an intense desire of every living being. The human, one of the most developed creation of the mother nature has made all efforts to have a healthy, beautiful progeny endewed with all the best qualities. It is but natural to find relevant reference in earliest available written literature i.e. ‘Vedas’ full of knowledge of all the subjects known till to day including about progeny and its health. Medicine in Vedic era was magicoreligious, where-in prayers were offered to God Aswinis to make the foetus intelligent, agni for making it strong, deities for safe delivery and sky, earth, sun and air etc. to give pleasure and tenderness to it. 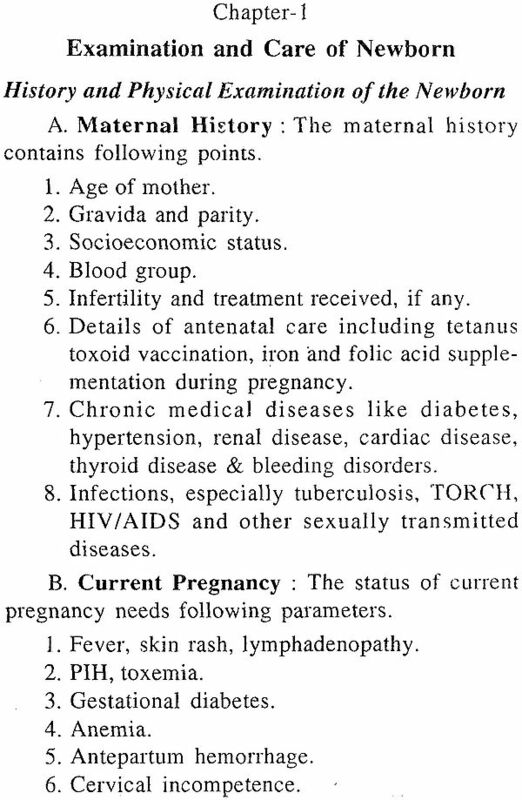 This description in an insinuation that it was known during those days that intelligence and strength of the foetus, the future man can be modified during intrauterine life, safe delivery is important for future and entire atmosphere influences not only health of foetus and child, but also can help in eradication of certain diseases, as the cough involving each and every part of the body and tuberculosis (yaksma) are said to be cured by nutritive diet (havi) and living in hill or forest areas, the areas having fresh air and abundant sun-rays cures these and other diseases also. Breast feeding was started after first feed of somarasa an ambrosia by goddess Aditi, the mother of god Indra, probably to inhance immunity and also to test normalcy of gastrointestinal tract. Mother’s lap was considered most comfortable to the child because it offers psychological impetus to the newborn besides being suitable in temperature. Certain concepts and rituals practiced today seem to have descended from vedic period i.e. concept of first eruption of upper teeth is fatal for parents and pacification to ward-off evil effect, as well as tonsure ceremony to provide better eye-sight, longevity and good health etc. 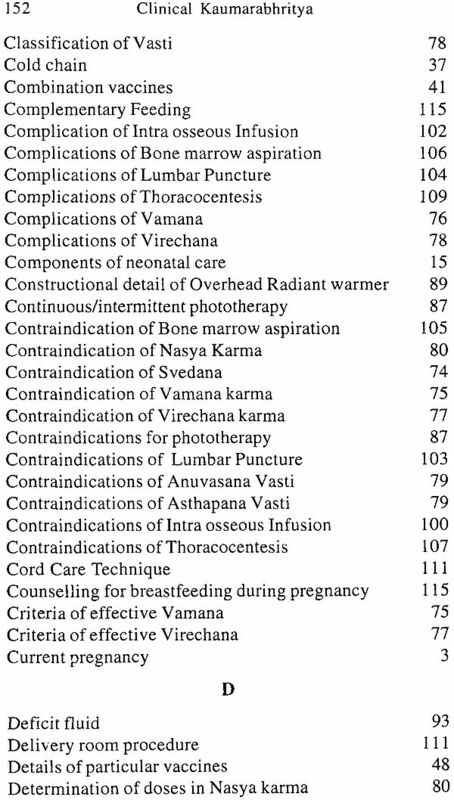 Besides these all the details about clothes, immunoinhansive and nutritive food, piercing of ear (Karna vedhana) and seizure by grahi, yatudhani etc. 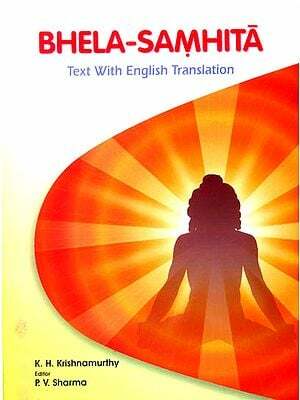 simulating graham of ayurveda are referred in Vedic literature. 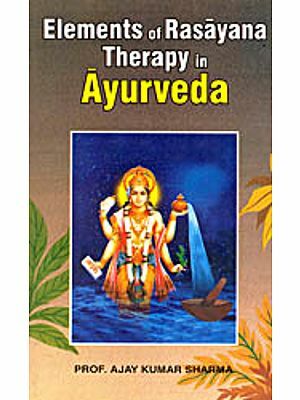 Literature on medicine descended from Vedas to ayurveda, classics of which are most systematized description of medicine with method of teaching/training in theory and practice in most scientific way with the then available tools. Its division in eight branches is based exclusively for its application in practice i.e. preventive, protective, rehabilitative and curative care. Maharsi Susruta the surgeon has unequivocally emphasized the importance of knowledge of theory and practice both in the worlds that the one possessing knowledge of only theory or practical is like a bird with only one wing thus can not fly, one who is expert in both and intelligent can accomplish his object. In ayurpveda subject is most systematized and practical Kaumarabhrtya on the eight branches of ayurveda though initially included aspects related to health of child in entirety i.e. Obstetrics, Gynaecology also besides neonatalogy and paediatrics etc., yet today with more emphasis on specialization, Kaumarabhrtya is principally concerned with subject related to the health of the child. 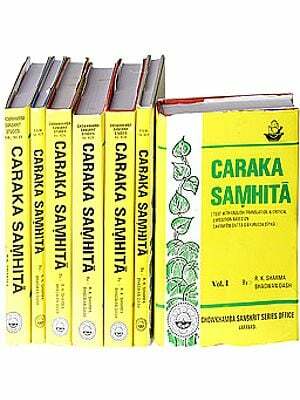 In ayurveda acute dearth of clinical oriented books specially of Kamarabhrtya is existing even today, inspite of such a long time for its systematized education as a distinct speciality. Dr. Upadhyaya an yongue teacher, researcher and clinician has fulfilled the gap to certain extent with his book ‘Clinical kaumarabhritya’ which is according to present curriculum of graduate standard education. 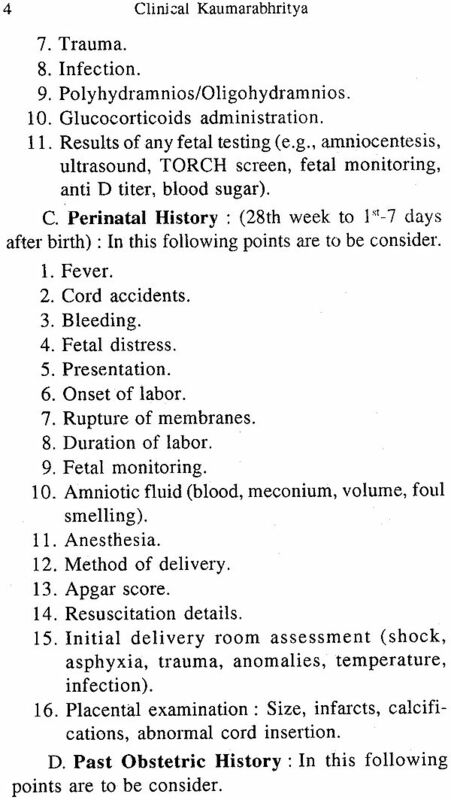 To make subject intelligible, he has divided the book in eleven chapters covering the subject from the time of birth of neonate and has included even emergency procedures; explanation of subject through tables and diagrams has increased acceptability specially to novices. I am sure that it would be a boon to all those associated with care of children more so to the novices entering the field. I congratulate Dr. P.S. Upadhyaya and wish that he continues his journey in the survice of goddess Saraswati besides accomplishing his duties towards students and born nationals. Dr. P.S. Upadhyay S/o Sri Ram Tej Upadhyay and Smt. Dropati Devi MD (Ay.) Ph.D., Lecturer, Department of Kaumarbhritya, Govt. Ayurvedic College and Hospital, Atarra (Banda) U.P. born on 5th Jan. 1974 at Sultanpur Dist. (U.P.). He has completed B.A.M.S. 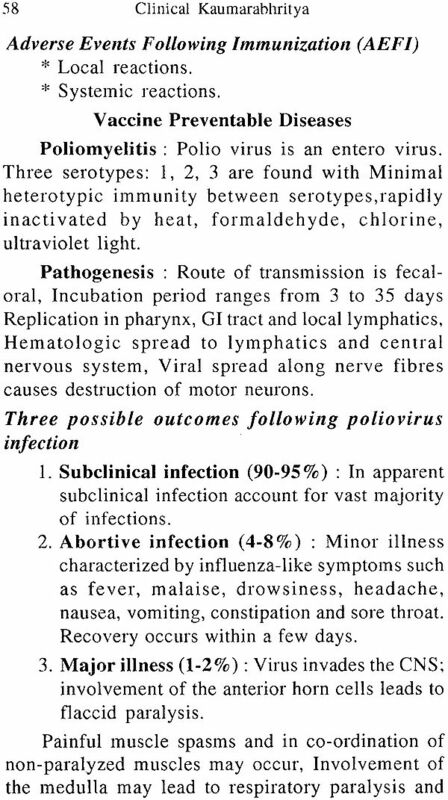 from Lucknow University, M.D. (Ay.) and Ph.D. from Banaras Hindu University, Varanasi, was senior resident at Institute of Medical Sciences, BHU from 2006-2009. He was elected as District Instructor of Neonatal Resuscitation Programme for year 2009-2011 by Indian Academy of Pediatric in Varanasi. He has published five papers, presented two paper in International seminar and three seminar/conference. He is member of all India Ayurvedic specialist (P.G.) association, Life Member of Bhartiya Sangyaharak Association and Vishwa Ayurveda Parisad. He is skilled in management of neonatal and pediatric disorders. 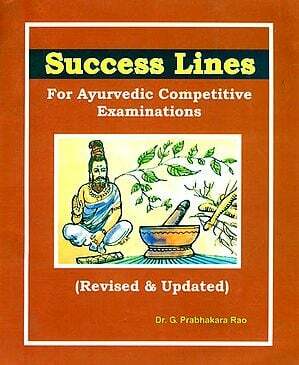 My effort embedded in this book is based on revised syllabus (year 2010) by Central Council of Indian Medicine, New Delhi. It covers the practical (clinical) part of the Kaumarbhritya subject having 100 marks. 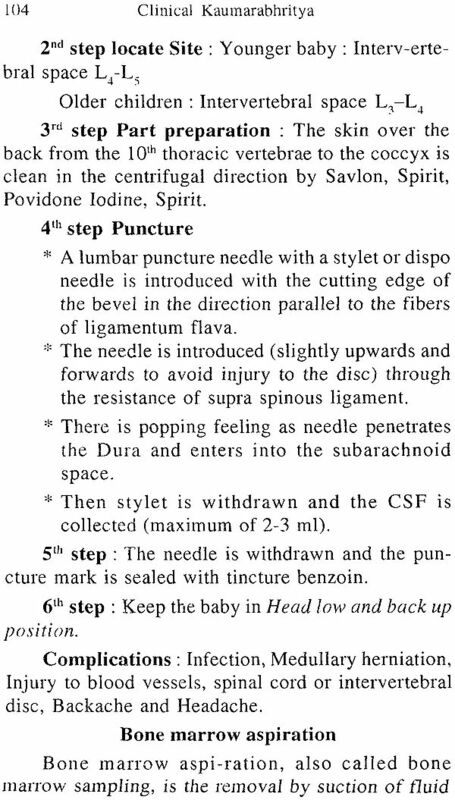 The matter embedded in this book collected from, Brahattariya, Laghuttriye, books of Neonatology, modern pediatric and my clinical practical experiences, which was taught by my teacher during residency period. 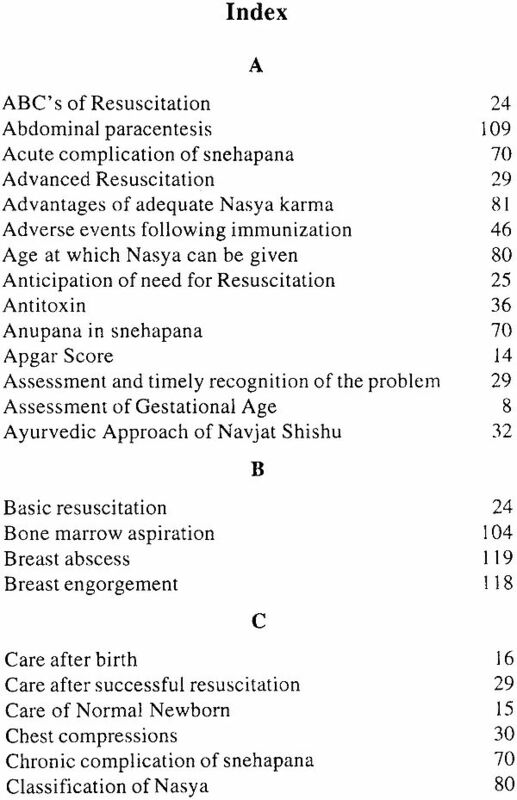 The main topics covered in this book are examination and Care of newborn, Navjat Shishu Prana- Pratyagaman, Immunization and Vaccine preventable diseases, panchakarma, pediatrie equipments including phototherapy, Intravenous fluid administration and blood sampling, emergency procedure like lumber puncture, bone marrow aspiration, thoracocentesis and abdominal paracentesis, umbilical cord care technique, feeding in children, emergency medicine with normal laboratory values and proforma of Neonatal/pediatric case record. This book will be help full for MD (Ay) Kaumarbhritya scholars, students of PG diploma in Kaumarbhritya, Practioners in field of Kaumarbhritya, B.A.M.S. students and MD (Ay) intrance examination. If a child has suffering from birth asphysia/disease, he faces many problems. If he did not have such problems then he is healthy. It is possible when he has protected by anyway. 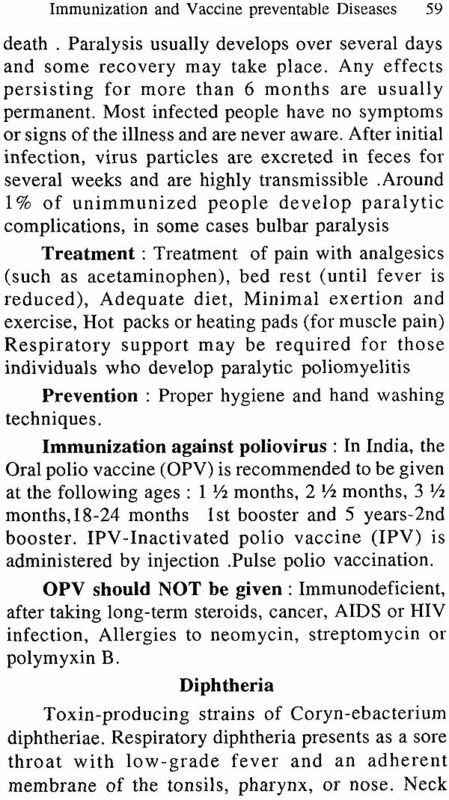 It is best thought that “Prevention is Better than Cure” but it is concerned mostly for preventive aspect. 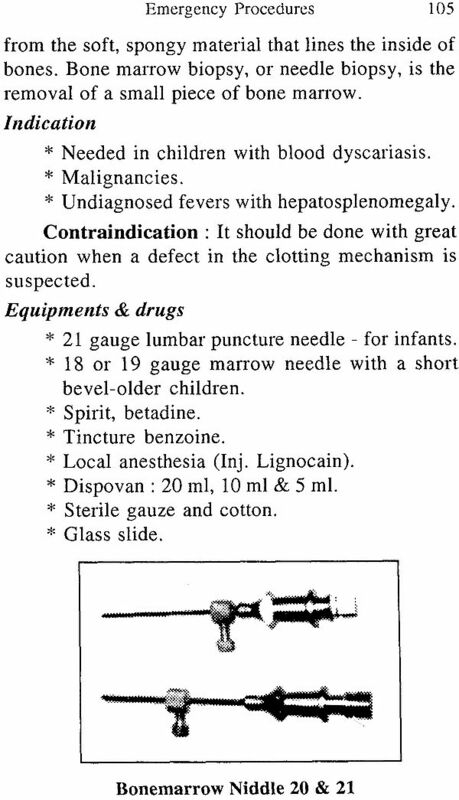 A diseased child, with parent seek doctor to treat the disease. In this view a small effort has made to provide the knowledge for prevention/treatment of infant & children along with the proper caring, proper immunization. Morbindity & mortality of infant & children (below 14 years) is very high in India with reference to other developing country. This text contains care of new born, Immunization, neonatal resuscitation, vaccine preventable diseases, emergency procedure & equipments. The efforts embedded in this book is based on opinion of my teacher Dr. B.M. Singh, Head Department of Kaumarabhritya and Dr. Sangeeta Gehlot, Head Department of Kriyasharir, Faculity of Ayurveda, IMS, BHU, Varanasi. I hope this book will be helpful for BAMS students, M.D (Ay) scholars student of P.G. diploma and Practioners in field of Kaumarbhritya. Any suggestions to improve this book will be grateful acknowledged.